This year, try something new — spatchcock a turkey. Not only does it roast in about half the time compared to a typical turkey, it cooks more evenly, and takes up less room since the bird is flattened — freeing up highly coveted oven space for sides. Just follow the simple step-by-step instructions to prepare the bird, then coat it in a lemon-herb butter, and roast it to tender, juicy perfection. 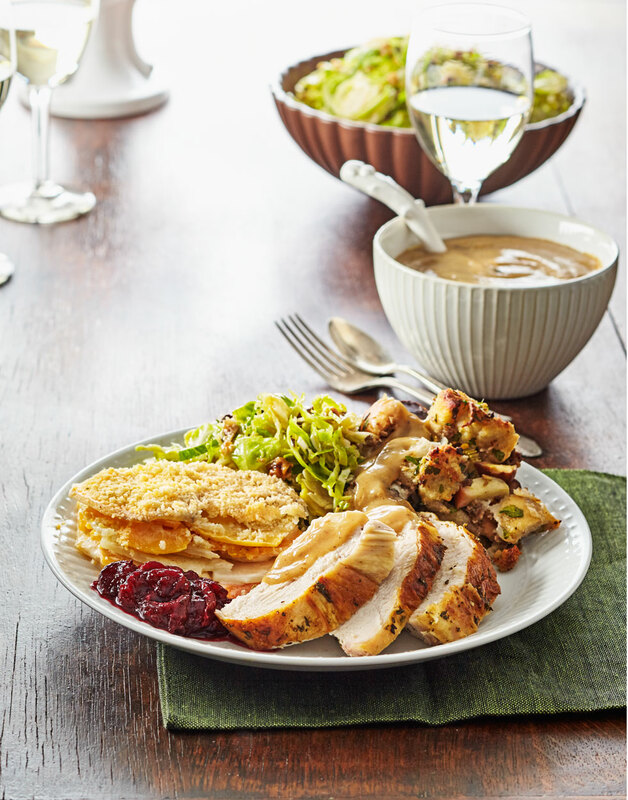 Be sure to use a baking sheet (with four sides), not a cookie sheet to roast the turkey, otherwise you’ll lose the drippings to the oven. Set a rack inside a 11½×16½×1-inch baking sheet. Spatchcock turkey following step-by-step instructions, then place on prepared rack. Reserve all turkey parts to make stock. Cover and refrigerate turkey until ready to roast. Combine butter, zest, sage, rosemary, thyme, and 1 tsp. salt. Generously season both sides of turkey with salt and pepper; brush with butter mixture. Roast turkey until a thermometer inserted into the thickest part of the breast and thigh, but not touching bone, registers 165°, about 2 hours, covering with foil if turkey gets too dark. Let turkey rest at least 20 minutes before carving. Reserve drippings for Turkey Gravy.